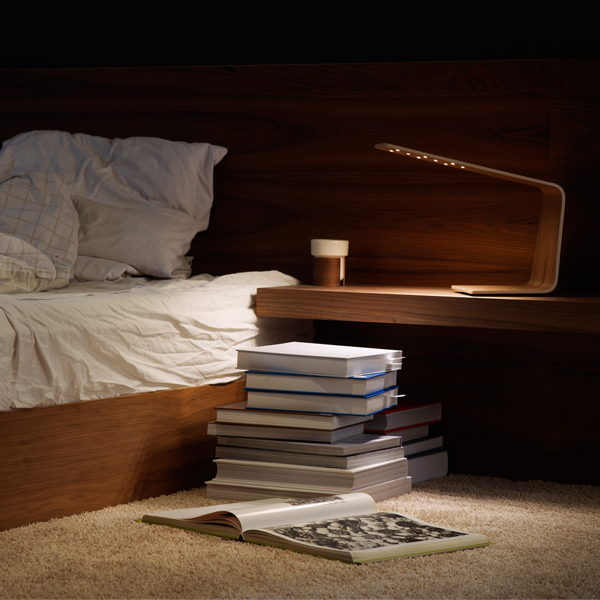 Led1 table lamp was designed by Mikko Kärkkäinen, the founder and main designer of Tunto Design. 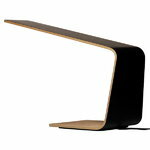 The innovative Led1 lamp combines modern LED technology, woodwork and simple design language in a creative way. Led1 makes a perfect bedside lamp or desk lamp, and its flowing design adds an organic touch of Scandinavian design to any interior. The hidden touch-sensitive switch gives a final touch for the sleek design and makes the lamp easy to use. In 2009, Led1 lamp won the Red Design Award, one of the most prestigious design awards in the world. Mikko Kärkkäinen is a Finnish designer with a training as a carpenter. Kärkkäinen is the founder and main designer of the Finnish design company Tunto Design. Tunto is Finnish for sense or feeling, and physical feel for the material is usually the starting point for Kärkkäinen’s designs. Being also a carpenter, he has the needed technical preparation for creating unique objects from scratch. This way, the final product is completely his own creation. Mikko Kärkkäinen’s most famous products are eye-catching LED wooden lamps, which have won prestigious design awards including the Red Dot Design Award and Good Design Award. Kärkkäinen has also been recognized as one of the prominent young European designers in the form of the ”Europe 40 under 40” award, and he has received the official Finnish State Award in Design 2015. Kärkkäinen's products for Tunto Design are known for high quality, fresh designs and innovations. The company aims for the best possible quality and finishing in everything they do, at the same time maintaining an ecological approach in the design and packaging of their products. All their products are handmade with love at their own workshop in Järvenpää, Finland.